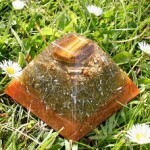 Following are some of the reviews I have received for my orgone jewellery and art pieces over the years. 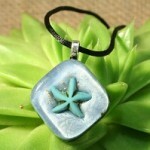 To see more reviews, go to Etsy.com. 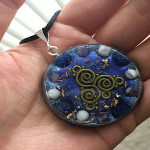 For the first three or four days that I wore this orgonite pendant, I felt almost euphoric, a kind of cool relaxation emanating from the center of my chest. The effect is still there but not as prominent. 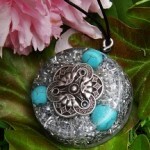 The pendant is absolutely lovely. I wear it inside of my clothes next to my skin, because I wear it for me, not for others. I gave this to my son and he loves it. He keeps it next to his bed at night, and the first night it was there, he woke up and told me about a complex dream. It was the first time that he had ever related a dream to me. Arrived really fast, only 1 week to get to LA! 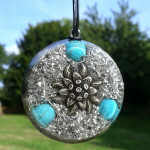 It is so so well-made and beautiful, in just 1 week I have felt a huge difference in my spiritual healing. 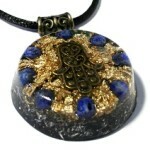 Karin was so nice to listen to my concerns and direct me to this orgonite pendant. Highly recommend this seller & I’ll definitely be back! 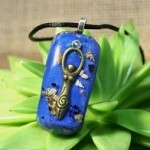 I love my Ankh thank you so much for your beautiful creation … it’s amazing ! 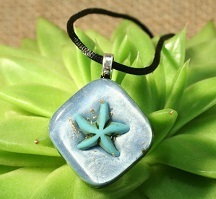 Pendant arrived quickly. 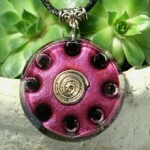 This orgonite pendant is absolutely gorgeous and much prettier than the picture. 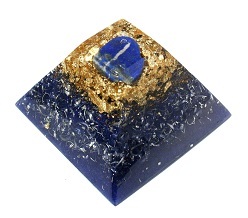 The seller included an extra orgonite star. I highly recommend this seller. 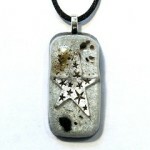 A great seller! I’ve bought them as a gift, she liked them so much! It was an international post but seller has managed to sent it exactly on time, for her birthday. Also I wanted to send a note, and that note was written by hand. That’s amazing. I was really surprised and it’s obvious that seller really spent time on that. She made someone happy today. I was currently in U.S and she was far away from me, that’s why it was very important for us. This item is expertly made and I am extremely pleased with it, sleeping soundly with it on my bedside table at night. Seller communication was first class would definitely purchase from again. 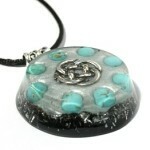 Beautiful pendant that is more than just a piece of jewelry. 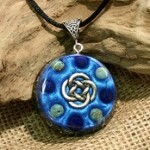 It heals and will continue to heal as it is worn. Love it. I know I will be buying more articles because each piece I have purchased already has done more than the creator has alluded to. 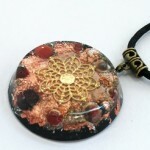 I order this one and a garnet one…and LOVE them both. I also received a small card for each item that described the properties and uses which was so helpful. 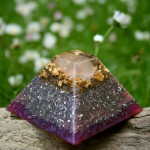 Beautiful pendant and powerful orgone! I could feel it as soon as I put on. Love the adjustable cord as well. 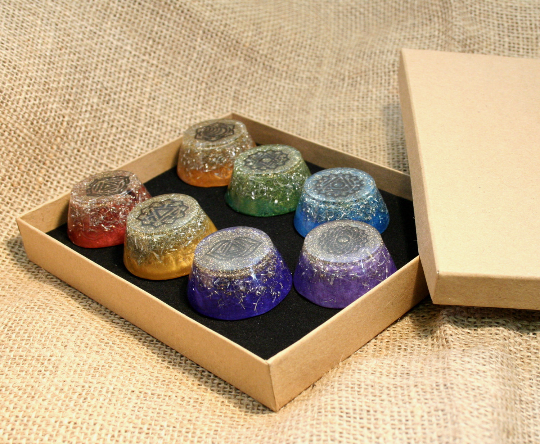 I plan to order more for friends & family very soon. 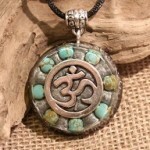 Thank you for a gorgeous piece of healing jewelry and excellent customer service. LOVE IT! 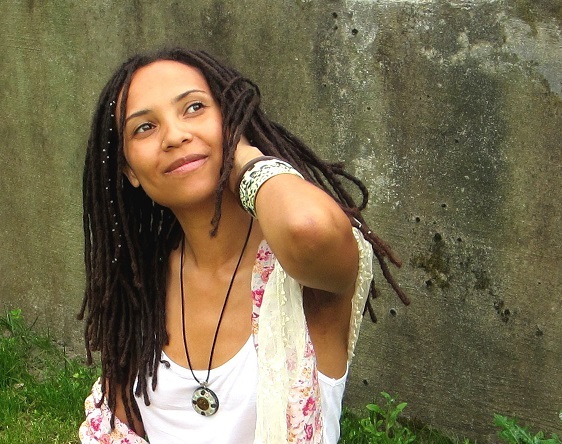 I am much more grounded and I generally feel better about myself and my surrounding. My work is filled with negative energy and I am able to block that from affecting me like it used to. I keep it beside my bed at night and it definitely helps with the negative energy. When I sleep, I sleep more soundly! Absolutely beautiful, I cannot thank you enough. 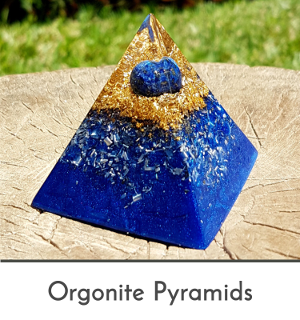 It was very kind of you to upgrade the postage; this is an excellent seller who I would strongly recommend if you are looking to buy Orgonite. Thank you Karin! I ordered this for my daughter and it arrived within 48 hours! My daughter knew exactly what was in the envelope and grabbed it from the postman and literally ripped it open! (She would never usually open something without asking first). 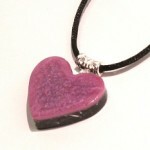 She loved it immediately and wears it all day, always remembering to put it on as soon as she gets up. 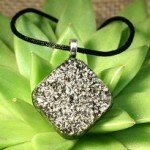 Thank-you so much for a much-loved pendant and exquisite service! I bought this for me. I immediately felt a change in my emotions and overall outlook when I put it on. 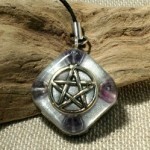 I personally own two pendants from her, and each puts off its own energy accordingly. They do work! 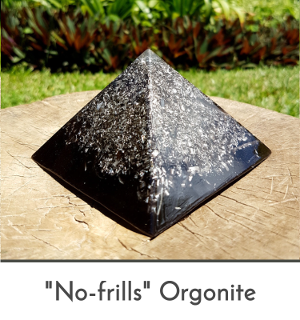 Purchased this orgonite for my teenage son to wear while around all the EMFs in school. The first day he wore it he said he didn’t feel as frustrated. Wonderful item and great communication from seller. Would recommend. Arrived promptly, despite the festive period. 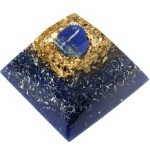 The pyramid itself is clear, smooth and shiny, and peering into it gives the feeling of looking in on another world. 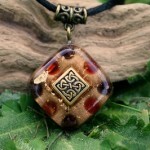 The flecks of gold are a nice detail whilst the tiger’s eye has an attractive, almost iridescent, quality to it. 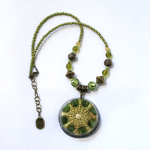 Small enough to hold in the hand but not so small that it would go unnoticed on, say, a mantle piece. 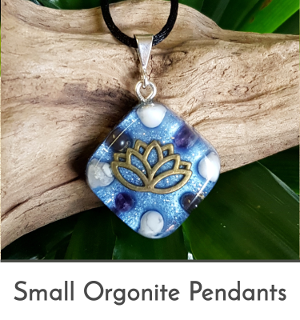 Also, thanks for including the smaller orgon gift. 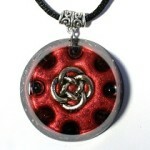 It now rests on a chain around my neck thanks to a little hole which I drilled through one of the corners. Overall, pleased I made the investment. 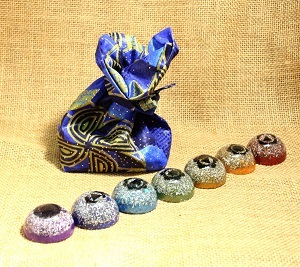 Looking forward to experiencing the much-talked-about healing qualities of orgon in the coming days and months. Thanks and blessings. 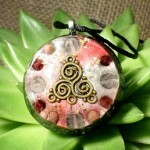 I am so happy with my orgonite pendent. It’s absolutely beautiful!! I felt the energy as soon as the package was put into my hand. Will be purchasing more!!! My energy has completed shifted in ways I couldn’t imagine before. I feel more confident. 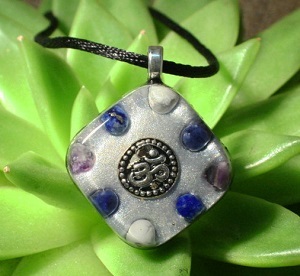 My chakras feel balanced and energize. I’m not fearful of the future anymore because it eliminates bad thoughts and energy around me. It has changed my life in many beautiful ways. I was able to accomplished daily goals due to increase creativity and positivity. I am more able now to express exactly how I feel and focus on goals which was pretty hard for me to do before. I have been very into spirituality before but this made me an even more true believer of how energy, thoughts and emotions play a huge role in our lives. I’ve received nothing but blessings and happiness, of course not in a magical way but more like physically my life is on a continuous good path. All I can say is you have to see it to believe it. Thankyou Karin,Blessings! 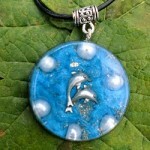 Love love love this necklace and so does my daughter. She wears it every day to school. And thanks for the extra special bonus gift. I felt and instant warming sensation when I picked it up. Awesome. 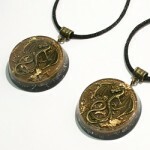 Now I want my own necklace! 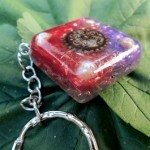 Quick shipping too! Peace to you! 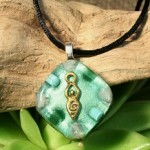 Absolutely beautiful piece. Made of high quality materials. 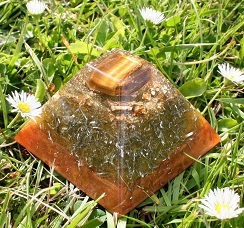 It has a noticeable clearing and loving energy. 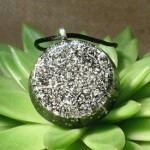 Hats off to you Karin for lovingly creating such a wonderful orgonite piece. 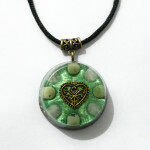 I gave it a name and thoughtform to live in it consisting of self-empowerment and protection. Intention and belief makes the piece even more powerful. 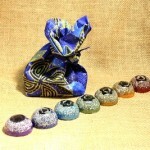 The pictures do not do Karin’s products justice. This is absolutely gorgeous. Shipped and arrived very quickly. 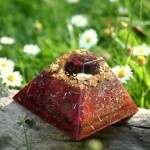 I guess the best review is that I have already ordered 2 more orgonite pieces from Karin. 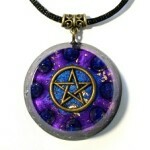 This is an excellent pendant and I wear it every day. 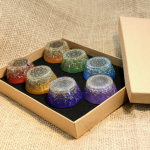 The craftsmanship is outstanding and the entire ordering & delivery process was efficient and pleasant. 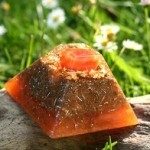 I would highly recommend this product as well as the seller. 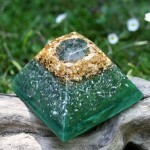 I have had my eye on this orgonite pyramid for awhile because Moss Agate is my favorite stone, and I love the interior design of this one, however I was reluctant to buy a truncated pyramid. But then I saw a video where someone placed something on top of it, and that gave it a whole new function! It is just as beautiful as the picture. 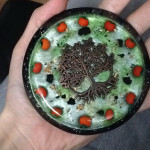 I have bought several items from this seller and her work is delightfully both artistic and true to the intended purpose of orgonite. Always satisfying purchases. 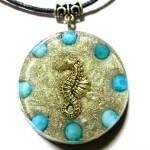 Amazing Necklace! I got one for my mom and she noticed a change around her work environment the next day. Someone that was troubling her actually started being nice to her. Also, thank you for the extra gift! My mom was definitely happy. I am a returning customer. 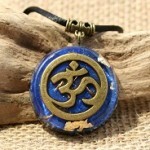 I live in Asia and the pendants arrive so quick, at Diwali. Seller ship right after i order and i received it 5 days after order. 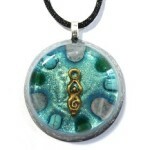 I love this pendant even more than the last one. 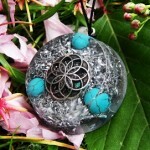 It looks beautiful and i almost wear it everyday. And amazing things is happening. 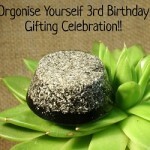 It helps you increase personal energy, clear the blockage and manifest. Thank you. Seller ship out the next day right after my order. Arrive in around one week. Thank you for the item and the bonus gift. Its more beautiful than the photo. 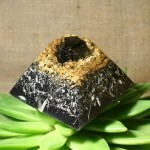 A great shop with orgonite of personal style. Would like to purchase more in future. 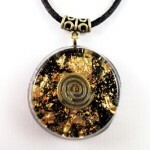 I believe your orgonite jewelry can help people transform and hv a better life. First of all: Beautyfull artwork. 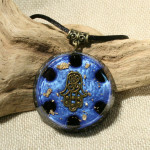 It gives me that “mystical enchanted pendant”-feel, wich i love. 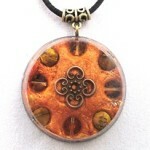 It may be placebo, it may be other energies, but i do feel it calms me down. Like if it balances me out. Im really sensitive to all Kine of emotions and energies like weather-changes, negative energy etc. Since i started wearing this pendant, ive slept better, felt like i can handle situations better and for the first time in my life ive felt like im more confident in whatever situation. In general more “clear”. Hard to explain. So to all sceptics, like myself: i should say, give it a shot 🙂 You will be amazed 🙂 And to shop owner- thank you, soo mutch. 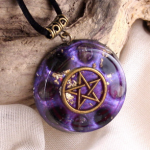 I will probably order more of your crafts 🙂 Also got lotsa compliments for this fine pendant. 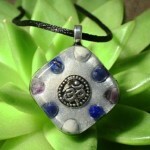 This pendant literally called out my name so I couldn’t resist. 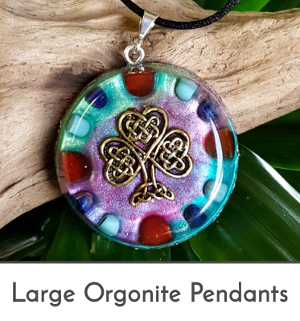 These pendants are highly addictive but this is due to the beauty of each piece and their protection abilities (my main reason for purchasing). 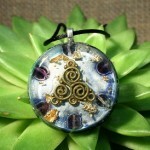 This is my third pendant and I have another on the way. Very satisfied. Absolutely STUNNING!!! My son loved it so much he got tears……He considers it one of his prized possessions. He is VERY proud to wear it in the nursing Home! 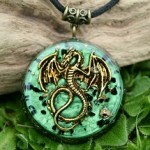 It really is a remarkable piece……MJ and I have matching dragon pendants……..He felt he had drawn me a picture of a dragon for my birthday and that we should have pendants that “bound us together” for his birthday……I am proud to wear mine also…they are beautiful and I will always be comfortable ordering from Karin….she has GORGEOUS works!!!!!!! and FAST!!!!! 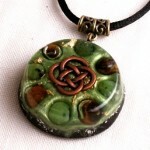 One of the most beautiful pendants I own, such complementary colors/tones, and has a deep, encompassing protective energy. I especially like the addition of ormus. I really love this artist’s style. And, a cute free gift included. Yesterday, when I reached home at 2100hrs from hospital, dead tired after a long shift of 12hrs! I saw this parcel and put on the pendant after having a shower. 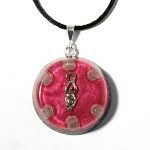 There was a lovely pink heart shaped organite with it. Had some dream whilst my night sleep. This morning, on duty in the hospital, I got a compliment from one of the staff members which was : ‘hello doctor, you face is glowing today’. I was so surprised as I was told yesterday and the day before that I look knackered! 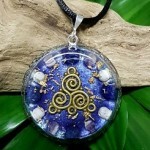 I am sure it is this pendant which is doing the magic! I feel happy and calm too. 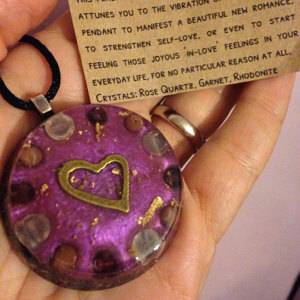 I bought this because I read that tourmaline helps in grounding and stops the negativity. My job is that I see many patients everyday and whatever I do, I take home a lot of moaning and crying which makes me feel utterly drained. 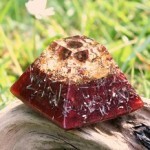 Tourmaline is surely helping! Gold:glow! 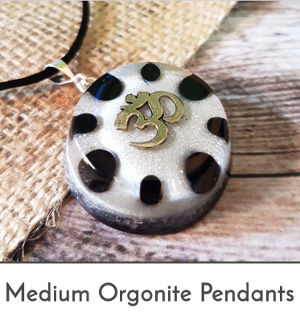 Amazing detailing on the orgonite pendant, really beautiful, wear it everyday, exellent customer service, great generocity ( lovely pyramid included at no extra cost ) all in all this is a great shop and would highly recommend it. Amazing craftmanship and great attention to detail, very pleased. 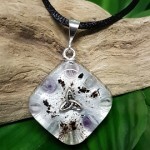 Karin is a delightful soul, with creations to match ( this is my third purchase ) , great satisfaction, exellent customer service, and a nice surprice included, with each purchase ( very generous ) . All the best, warm wishes Karin. 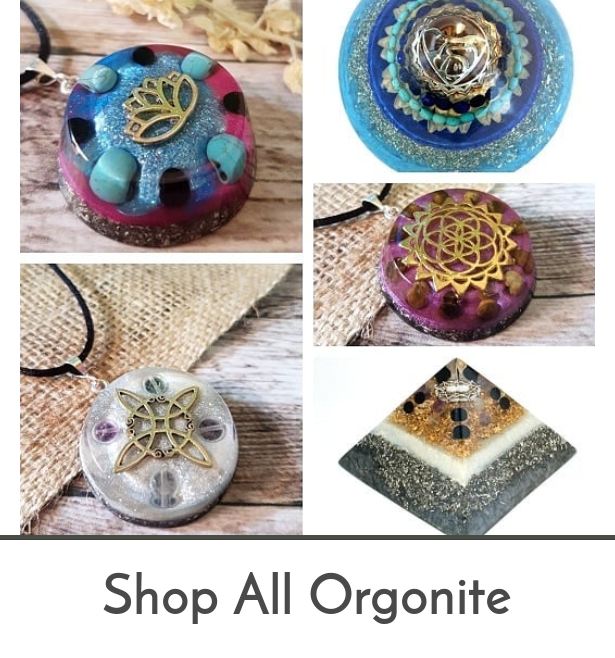 Highly recomend this orgonite shop. Amazing! 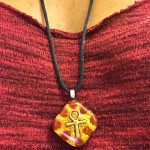 I wear mine every day… has improved my life immensely to the point where I have turned other people onto these as well… perhaps I could learn how to make them myself someday. so beautiful… thank you!! (also arrived quite promptly considering I live in the US) <3 Much Love! 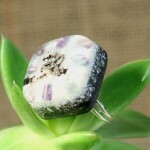 Read more testimonials on Etsy.